Chelsea Woodard has written a grown woman's book of poems - meaning a chronicle of how the world looks and feels from the perspectives of felt truth and family history. Ms. Woodard's view is rural, New England-ish, possessed of Dickinson's intensity in nature's fact and Emerson's loving faith in good turns of heart and song. She writes an elegant sentence, has a painterly eye, commands narrative as she might have once steered horse-and-plow, and is as soaked in her place as was Mr. Frost. What more could any reader want than the memorable poems found in Solitary Bee? One feels her confident voice, her touch - and thinks this, too, is my life. 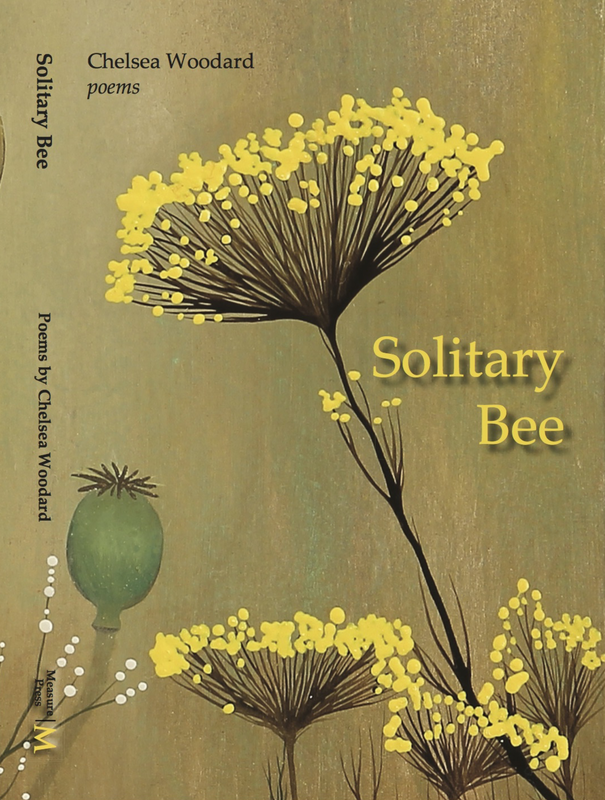 Chelsea Woodard's Solitary Bee is a gorgeous book by a truly gifted writer. She has a painter's eye for color and detail and the easygoing eloquence to animate the people and the places of her life. In poem after poem, in which, like the collection itself, "each element conspires / to shape the whole," Ms. Woodard tours parts of a world we probably missed and takes us with her to surprising and lovely conclusions. Like Robert Frost, Chelsea Woodard is "versed in country things," and Solitary Bee evokes the natural world - especially the flora, fauna, and weather of her native New England - in magnificent detail. But her landscapes are peopled too, and she examines the shifting tenors of human relationships with the same generous attention, the same appreciation for the slow work of understanding. The artistry of these poems is striking, exceeded only by their mighty compassion. What a beautiful book! Chelsea Woodard inhabits a world of charged artifacts that are the tangible reminders of the history we embody and of our generational, generative connections to each other. It is a world where "farmhouse beams hold hatchet marks - // showing each cut of how they fell," a place with "each hand-cut beam fixed, sturdy, to its post." Yet the pastoral stakes its claim in her collection, too, with lupines and lilacs, amaryllis and bluebead lilies. Such articulate abundance! In her eloquent, musically surprising, and deeply wise poems, she gives us again and again a vision in which the elements combine so that we may know where the individual self can be found - "in what shelter, in what warmth" - in a world that feels richly, remarkably whole. In her stunning first collection, Vellum, Chelsea Woodard offers us poems whose lucidity of attention grounds an imaginative realism where narrative becomes speculation, witness becomes mystery, and the body a space where desire and dread complicate compassion’s summons to the social order. The honed music here thus reveals a deeper vulnerability. Such is its gift, the way in which poems might be rooted to the difficulty and heartbreak of the physical and yet apart, “their keel and gristle finally set/ into some deathless, disembodied flight.” An astonishing book. In addition to her emotional maturity, part of what makes these poems memorable is Woodard's obvious mastery of language, her flawless sentences, the surprising way those sentences function and "mean" within the lines, the lines within the forms. Not the least of the attractions of this gifted young poet's first book is the exquisite, searing precision of her language-the obsessively exact diction; the tropes that map with such stunning accuracy the emotional contours of her narratives; the gestural, almost tactile quality of her syntax-all of these talents focused sharply on what Howard Nemerov said was the singular, most difficult achievement of poetry: "getting something right in language." I predict for Chelsea Woodard a long and enviable career.